LOW HOA DUES ONLY $325/month! 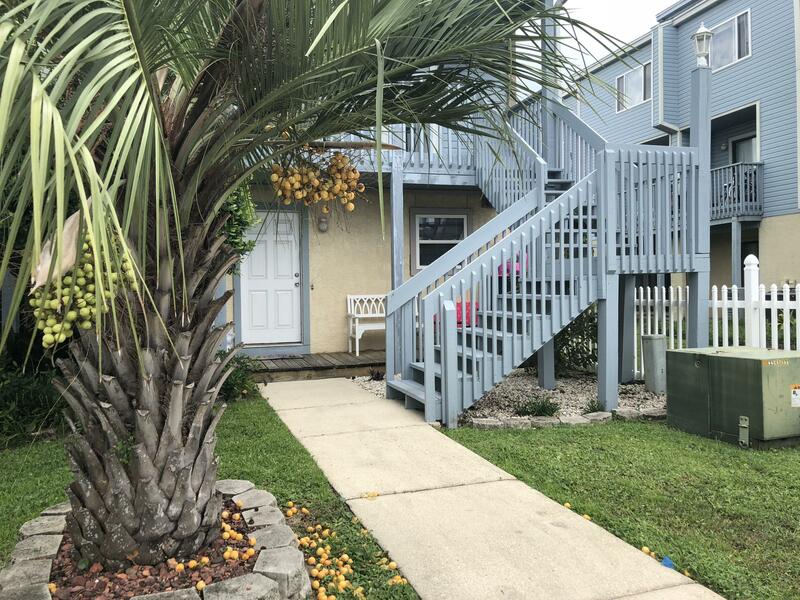 This updated & well maintained 2 bed 2 bath GROUND FLOOR condo is located in Commodore's Landing on Okaloosa Island. Interior features include a master suite with a private bathroom that has upgraded vanity/sink, as well as private access to the covered patio. The additional bedroom is adjacent to the second bath which has also been updated. Spacious kitchen features granite countertops & stainless steel appliances. Living room has sliding glass doors that open up to a covered patio overlooking the community pool. HVAC is 4 yrs old. Washer/dryer in unit. Each unit has an assigned parking space, as well as plenty of visitor parking nearby. Commodores Landing is located directly on the sound with marina & boat slips available to rent, as well as community pool!